In today’s world, we’re no longer safe from identity theft and hacking. When you’re developing an app, you need to be aware of this fact and try to give the best security options there are for your user. They might not appreciate it, but if you would have a security breach you’d definitely hear about it. So, keep on reading on these security problems you need to fix before releasing the app to the world. Each operating system has its different standards of security, with different values that they like to stick to. For example, Apple likes to give their users only tested applications. They like to give this guaranteed screening of apps to their users, this being a core value in their company. However, you should do the testing yourself, because, even though they’re trying very hard to protect their devices, there is still malware that gets more advanced by each day that passes. If you’re thinking about starting your app on Android, you need to know that they have more of a ‘free will’ sort of value. That means that they allow most apps to get on the Google Play Store, and leave users to decide on their own which app is better than the others. They do that through reviews and they let other users know what they personally think of the app. Anyway, the idea is that you should do your own testing, even though operating systems usually offer you this option as well. You should test out the GPS, the camera or any sensors the user needs when he/she is navigating an app. If you’re releasing the app to Apple’s operating systems, you should turn off the NSLog, so that hackers cannot easily access your app. A bonus for your customers is that it also makes the app work faster. We don’t mean your hired company that is working on the development of the app, but code that is available in the industry so you can build upon it to build the app. A lot of hackers are looking more and more into identity theft, and infiltrating in an app’s security is one great way of stealing info from phones. That’s why they might build code in hope that someone will buy it and they’ll be able to get the info they want. We’re not saying you shouldn’t buy code, but verify the code for phishing schemes as well as do some research on the person you’re buying from. All apps need some sort of info from their users, and all of that data needs to be stored in a safe environment. That’s why most app developers use a server which they connect to. So, connect to a server that is secure via SSL certificates. You can even make sure they use encryption when handling data so that your users feel safe when using your app. 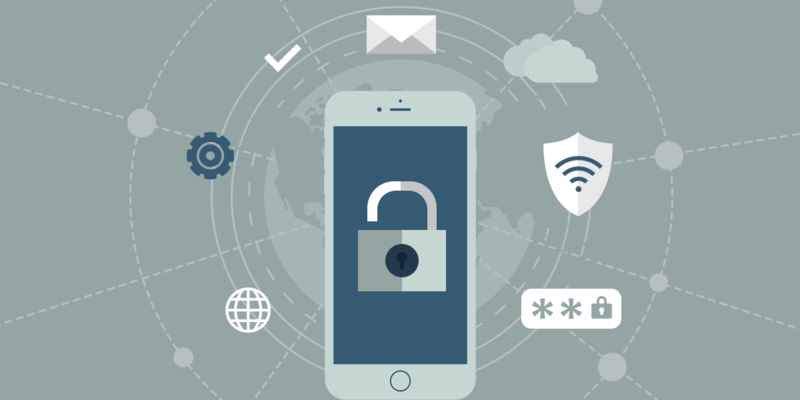 When testing your application, you might want to consider an EMM sort of testing (enterprise mobility management) which allows better security that other testing available on the market. They will start the testing by making your app fail proofed for jailbroken or rooted devices. This sort of phones is very dangerous for your application, because it gives easy access to malware. The EMM will help you figure out what you can do when the app gets on this sort of phone and protect it against bugs. This is not the only thing EMM can do for you, it can also help you figure out which server is most fit for you, considering your security needs, as well as figure out what other issues you are vulnerable to. If EMM isn’t the right fit for you, make sure you make your research what is the best fit of security for your app, depending on the features you need to include on it. There are a lot of worthy security testing that will help you get the best out of your app without putting your user’s data in jeopardy. Security is a very important issue when developing an app. You should take in account all security testing there is and do the testing yourself. If you use code from other people, make sure you did research on the seller’s past, because they might be a hacker trying to obtain sensitive information. Why You Should Choose Ionic Framework To Build Your Next Mobile App?